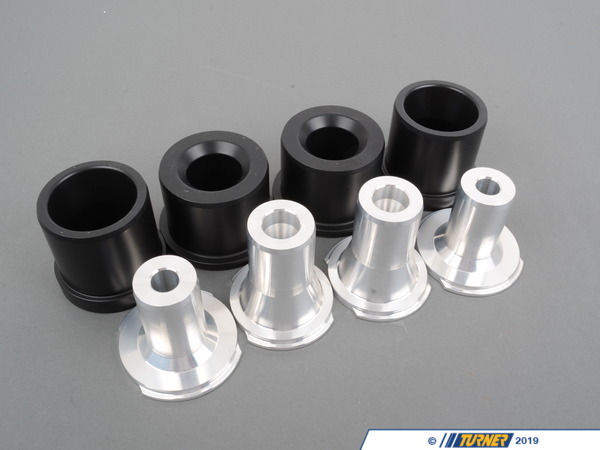 Our solid Delrin/Aluminum rear sub-frame mounts are designed around regulations for Grand-Am, BMW CCA, and other racing series where a solid aluminum mount is not allowed. Thick Delrin casings are used as the non-metallic solid mount. High quality aluminum sleeves, with increased surface area, are then pressed into each of the casings with washers integrated into each one. The washers are employed to add an extra safety factor for securing the sub-frame into position. A BMWs sub-frame is the heart of the suspension and we have found with a short amount of track time the stock bushings will start to degrade. When the sub-frame moves, so do all the suspension mounting points. 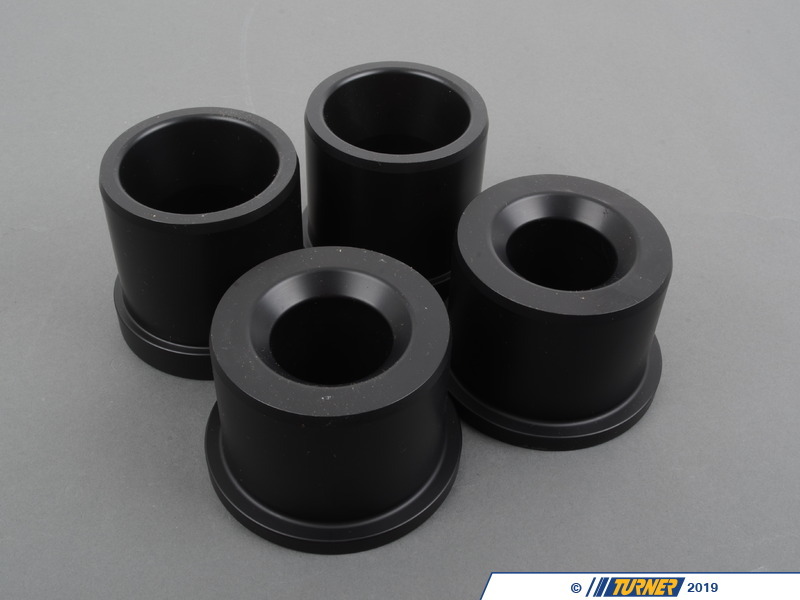 Replace the stock rubber bushings to limit drivetrain and suspension movement and keep your car setup the way it�s supposed to be. These mounts are CNC machined in the USA and made with high-grade materials. A BMWs sub-frame is the heart of the suspension and we have found with a short amount of track time the stock bushings will start to degrade. When the sub-frame moves, so do all the suspension mounting points. 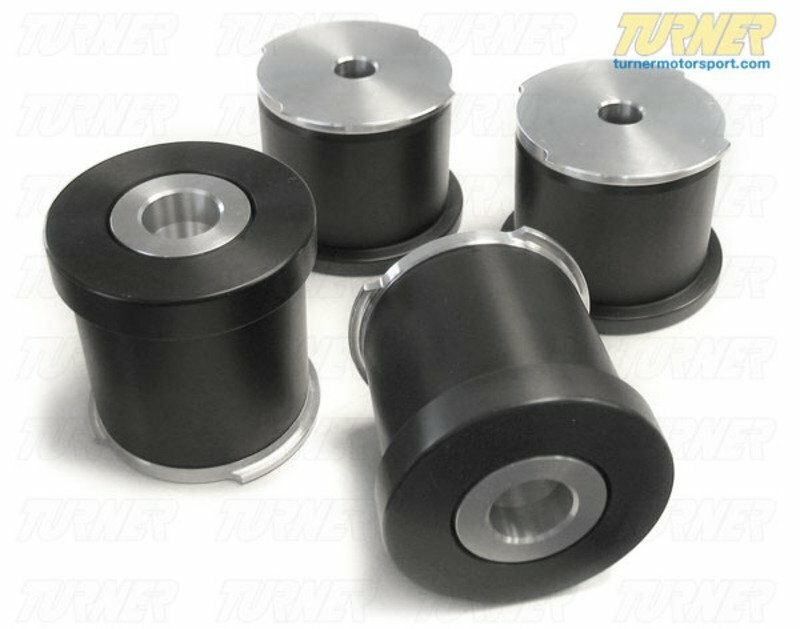 Replace the stock rubber bushings to limit drivetrain and suspension movement and keep your car setup the way its supposed to be. 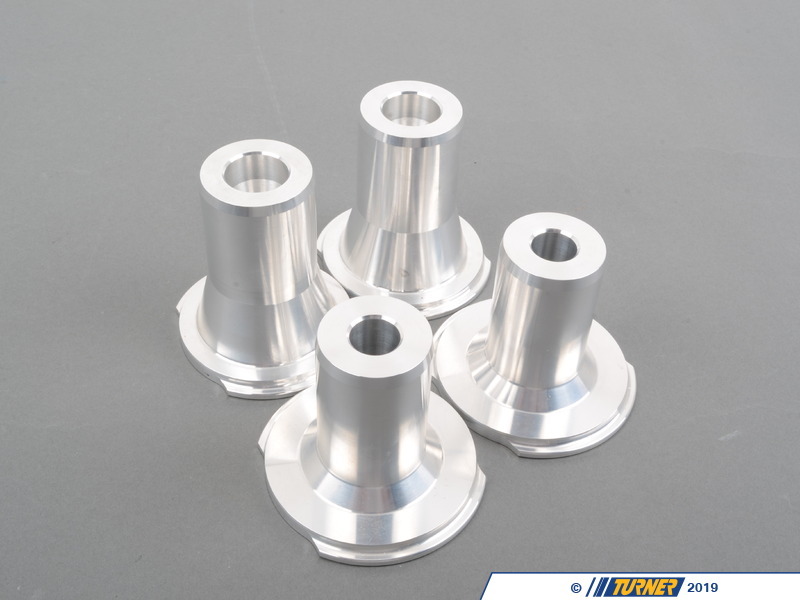 These mounts are CNC machined in the USA and made with high-grade materials.